Stretch jeans from CHEAP MONDAY. 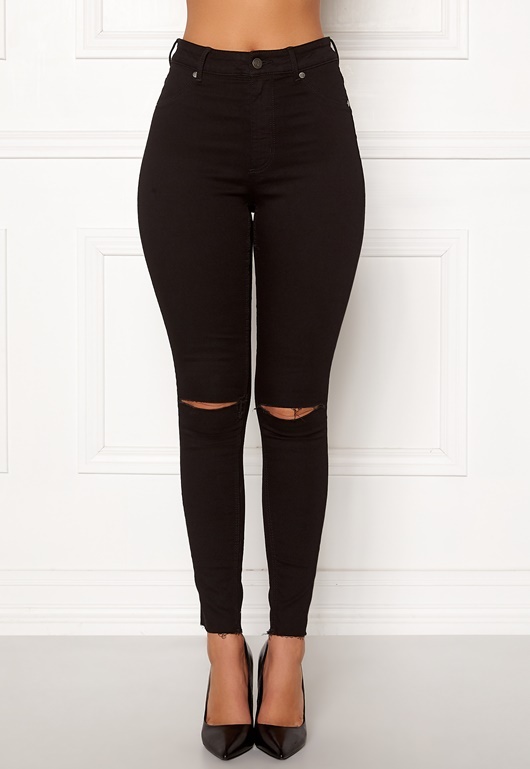 The jeans are a tight fit and have a high waist and trendy rips. - Two back pockets - Two faux front pockets - Zipper fly with button - Raw hems at ankles - Rips at knees Inside leg 72 cm in size S. The model is 173 cm tall and wears a size S. Machine wash at 30 degrees (delicates).